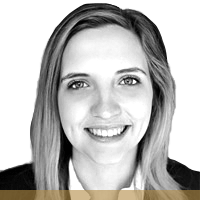 Caroline Meserve graduated from St. Olaf College with a B.A in political science and economics in 2016. She spent her junior year studying abroad at the London School of Economics. Caroline previously interned for an NGO working to combat human trafficking and for U.S. Senator Michael Bennet. During her last semester of college she along with ten other students started a movement on campus in order to change the way her college handled sexual misconduct. The movement received national attention from media outlets including Newsweek, Teen Vogue, TIME, Huffington Post Women, The Star Tribune, and xoJane. Women are more likely to experience increased violence in the wake of disasters such as floods and earthquakes. They also take on the overwhelming, when droughts force their husbands and sons to leave home to find work. Empowered women have the agency and ability to move a society rife with conflict toward sustainable peace. I am a young feminist and I am here to tell you that you need us. Read more about Can Women Make the World More Peaceful?